Does this sound familiar? As we ring in the new year, we vow to take better care of ourselves. 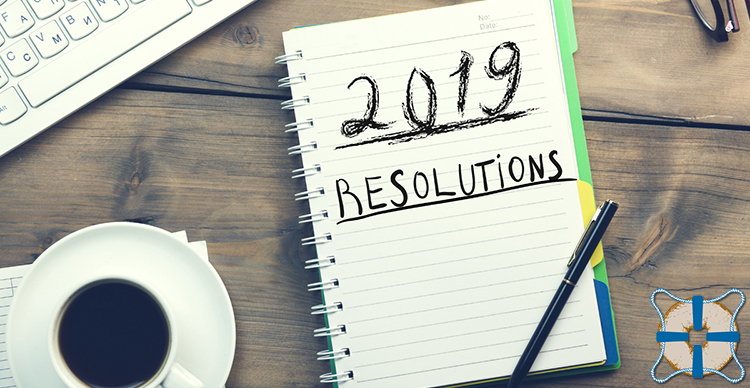 Lose weight, eat better, drink less, exercise more — these all top the list of New Year’s Resolutions. However, how many of us find that after about three weeks we simply give up? Sticking with good intentions may not always be easy, because we have unrealistic expectations. We are here to tell you that you can do it! We’ve got some tips on taking small steps toward building a better you. And believe it or not, you can still have your bagels! We list this first because most folks feel a healthy regimen means depriving yourself of your favorite food items. Nutritionists agree that deprivation leads to depression and bingeing. A healthier lifestyle is not achieved overnight. Experts recommend incorporating slow positive dietary changes and create a balance. Further, they say you should never completely cut out any macronutrient in your diet. Meaning, your body needs a proper combination of fats, protein, and carbs for proper functioning. Set realistic goals, and in the long run, you will see results, feel better and improve self-esteem and confidence. Need a menu suggestion? Try one of our signature sandwiches like the City Girl, the So Cal, the Popeye or the Avocado Delight. They all offer a healthy combination of the nutrients you need. For most of us, skipping the first meal of the day turns us into ravenous monsters midday, leading to lowered inhibitions and overeating at lunch. Plus experts agree that forgoing the morning meal leads to afternoon munchies and could even slow your metabolism down. Not super hungry in the morning? Try one of our fruit parfaits. Consider a whole grain bagel with almond or peanut butter or a light smear of cream cheese. Choose sandwiches made on a “flagel” or a wrap. Lastly, did you know that upon request we will scoop out some of the bagel’s center? That way you can still have all the healthful fixin’s and not feel overly full. The Mayo Clinic recommends that we all get at least 150 minutes of moderate aerobic activity or 75 minutes of vigorous aerobic activity a week, or a combination of moderate and vigorous activity. That translates into about 30 minutes of moderate movement a day. And, it does not have to be all at once. They define moderate aerobic exercise as brisk walking, biking swimming, even mowing the lawn. Vigorous aerobic exercise could include running and aerobic dancing. So take a break during you day and go for a couple of 15-minute walks. Or after work, go for 30 minutes and take the dog or the kids or your partner. Take the stairs instead of the elevator, park further away, stand and stretch throughout your day — just move! Your goal should be to eat at least 5 servings of vegetables and fruit every day. Naval Bagels always has a selection of pre-cut fruit and veggie cups. We also have loose bananas and apples. Next time you order a sandwich try choosing this instead of chips. Or pick one up for later for a light mid-afternoon snack. Variety is the key so that you do not get bored. Additionally, having this healthy option on hand could help you stave off hunger and avoid the unhealthy choices in the vending machine. Remember, it’s the little steps that make a difference. Celebrate your small victories toward creating healthy habits, therefore a healthy life. Nobody is perfect. Treat each new day, each new moment as an opportunity to be better. Not sure what to order the next time you come to Naval Bagels? Ask our staff for a friendly recommendation. These tips will help you not only keep your New Year’s Resolutions but could transform your life!